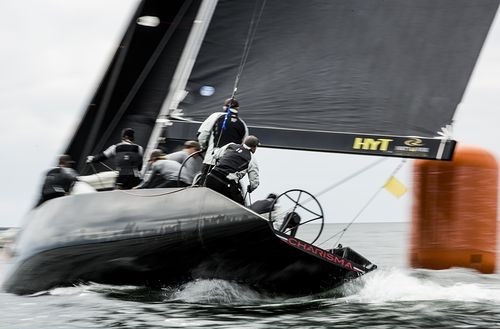 Bronenosec Sailing Team once again demonstrated its boat-on-boat skills, enabling the Russian team to consolidate its lead in the 2015 RC44 Match Racing Championship on the first day of competition at the RC44 Marstrand Cup. 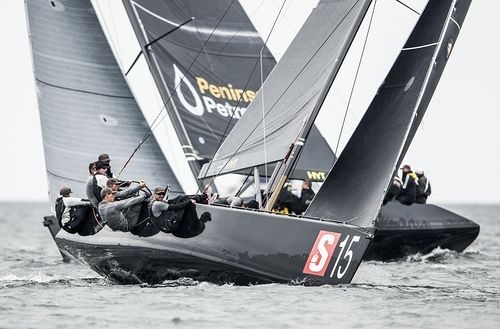 A chilly overcast morning with light winds turned into a brilliant summer's afternoon with 15 knots for the racing, held off the popular holiday island of Marstrand on Sweden's west coast. 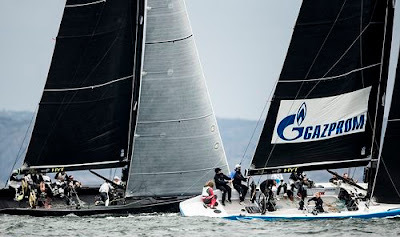 As usual the regatta started with a day of match racing, continuing this year's RC44 Match Racing Championship that rolls from event to event across the season's five regattas. Today's standout performers were Bronenosec Sailing Team and Team Aqua, which both posted a 6-1 win-loss. 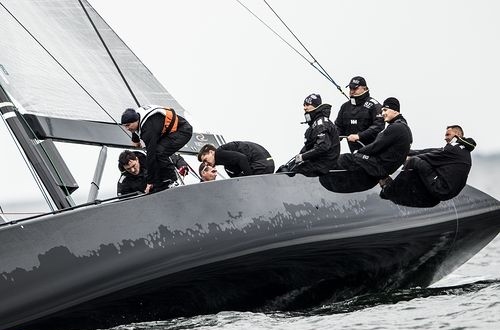 This confirmed the Russian team's position at the top of the 2015 RC44 Match Racing Championship leaderboard, now two points ahead of second placed Artemis Racing. "We feel very comfortable: No rushing, no yelling, just sailing for fun. The goal is to do the same in the fleet racing so this is our secret weapon. We came here to win and for sure we will try," Bronenosec skipper Vladimir Luibomirov said. Team Aqua got off to a slow start. 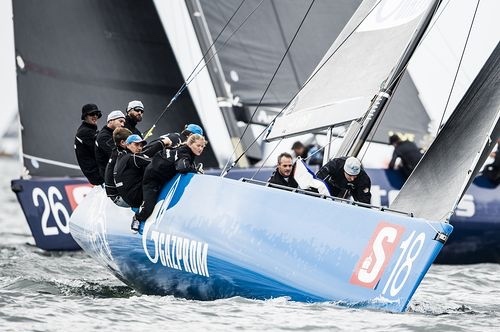 Chris Bake's team, on which Swede Richard Göransson is helming for this regatta, were over early in the first flight against Artur Kasner's MAG Racing and were unable to recover. "We just got a little too excited, it being the first race of the day. 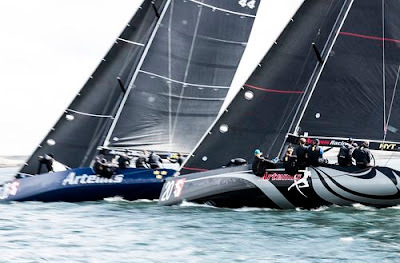 We had a really tight race with Artemis Racing, Charisma and Peninsula Petroleum. And with Bronenosec we had a really close tussle too. There was little bit of yelling, a little friendly rivalry. But it was nice to get one up on them," said tactician Cameron Appleton. "The key was pushing hard, having a good game plan and just adapting to some of the small shifts and where the start line favour was and trying to think one move ahead. Richard [Göransson] was really good at listening and understanding what we were trying to do and the guys did a fantastic job, just getting all the basics done really well," he added. Today's result elevated Team Aqua from fourth to third overall in the RC44 Match Racing Championship. Nico Poons' Charisma got off to the best start, unbeaten in the first five of the seven flights that Principal Race Officer Peter Reggio laid out. This performance elevated the Monaco-based RC44 from seventh to fourth in the overall standings. Artemis Racing, the RC44 Marstrand Cup's co-hosts with sponsor Stena, also scored five wins and two losses. In contrast to Nico Poons' Charisma, the Swedish team dropped its first two races, but then won the next five. "Unfortunately these things happen. There are so many good boats out there, I am quite happy. 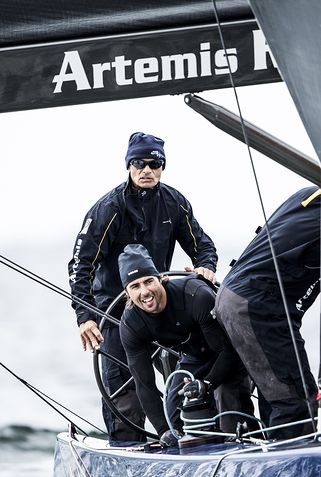 There were nice sailing conditions and there was no rain – as promised," said Artemis Racing Team Principal, Torbjörn Törnqvist. While Törnqvist is based in Geneva, he enjoys returning to his home country. "It is always nice to come back here. It is special for me to be able to sail here. Overall I felt good. There were interesting and fun situations and we got the best out of most of them," he said. He singled out the final race of the day against Team Nika and skipper Vladimir Prosikhin, a very close tactical race that had seen them get into a luffing match on the first beat, culminating in their opponent picking up a penalty. "It was good quality racing, with good crew work and good communication and most of it went our way," Törnqvist added. Nico Poons' Charisma got off to the best start, unbeaten in the first five of the seven flights that Principal Race Officer Peter Reggio laid on. 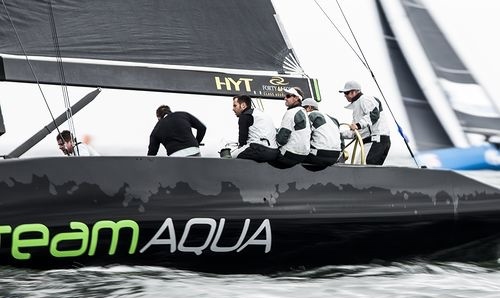 This performance elevated the Monaco-based RC44 from seventh to fourth in the overall standings. Another team punching above their weight today was Kirill Podolsky's RUS - 7 Anywayanyday. To date this year the Russian team has recorded just two wins at each of the match racing days and today doubled that. "We are quite happy, but during the third race we broke one of our winches and had to do without it for the rest of the day. That's why it was very difficult to hoist the gennaker and do the manoeuvres. It was a challenge. Without this problem we could have maybe won another two races. Otherwise it was a good day and we are happy," said tactician Serguei Chevtsov. 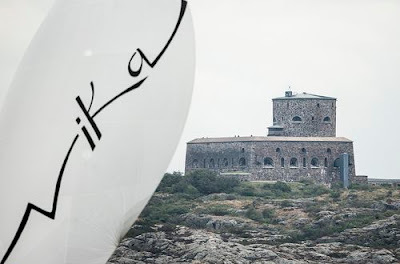 Four days of fleet racing at the RC44 Marstrand Cup start tomorrow at 11:30 CET.